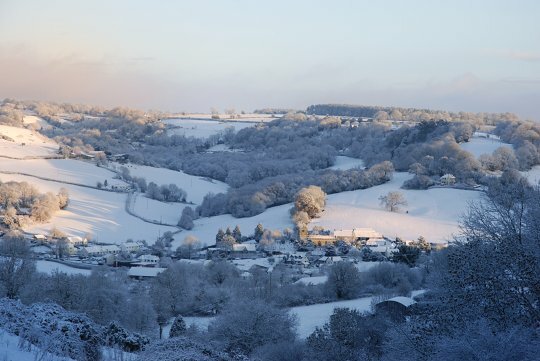 My home village of Uplyme, in East Devon, seen in the snowiest winter for many years. The view from our field was breathtaking, as the sun rose over the woods and touched the far side of the valley with rosy light. A photo can’t really do justice to the sensation of being there bathed in cool light.